Hellow Volleyball rule, how are you today, i hope find. 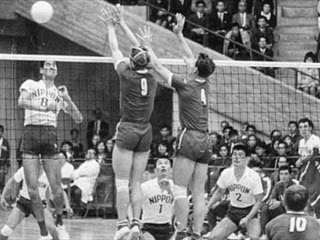 In this sesion I want to share with the readers about the history of volleyball . The reader must have known and heard what was the game of volleyball?. actually already know what the heck it's not volleyball, kalu not ya know I love the insight into what it actually Volleyball. volleyball in the know with the name mintonette. Mintonette sport was first discovered by a physical education instructor (Director of Education Phsycal) named William G. Morgan at the YMCA on February 9, 1895, in Holyoke, Massachusetts (USA). William G. Morgan was born in Lockport, New York in 1870, and died in 1942, the YMCA (Young Men's Christian Association) is an organization dedicated to teaching the basic teachings of Christianity to the youth, as it has been taught by Jesus . This organization was established on June 6, 1884 in London, England by William George. After meeting with James Naismith (the creator of the sport of basketball was born on November 6, 1861, and died on November 28, 1939), Morgan invented a new sport called Mintonette. Similarly, James Naismith, William G. Morgan also dedicated his life as a physical education instructor. William G. Morgan who is also a graduate of Springfield College of the YMCA, creating Mintonette game is four years after the creation of sports game of basketball by James Naismith. Sports Mintonette game is actually a game that was created by combining several types of games. Precisely, Mintonette game created by adopting four different character into the game of sports, namely basketball, baseball, tennis, and the last is handball (handball). At first, this game created specifically for YMCA members who are no longer young, so this game is made is not as active-basketball game. Change the name Mintonette into volleyball (volleyball) occurred in in 1896, the first game demonstration at the International YMCA Training School. In early 1896, Dr. Luther Halsey Gulick (Director of the Professional Training School Physical Education as well as the Executive Director of the Department of Physical Education of the International Committee of the YMCA) invited and asked Morgan to demonstrate the new game he had created in the new campus stadium. At a conference held at the campus YMCA, Springfield was also attended by the entire physical education instructor. On the occasion, Morgan took two teams in each five-person team. now already know what it actually Volleyball. nah of it does not hurt us to know the ins and outs of the game also in Indonesia's Volleyball In Indonesia alone how ?, volleyball began to grow rapidly in 1962, just before the ASEAN GAMES Geneto IV in 1962 and 1 in 1963 in Jakarta. already know not the parent organization volleyball in Indonesia? ... ya little information that the parent organization's own volleyball game in Indonesia known as PBVSI (volleyball unity throughout Indonesia) which was established on January 22, 1955 in Jakarta simultaneously ongoing national championships the first volleyball. Regulation was not originally specified any number of players in the team. In 1986 the name was changed to the game Volley Ball by AL Fred T. Halstead, who have watched this game, assume that the volley ball more appropriate to be the name of this game, given the characteristics of this game is played with a ball lobbed the ball before it touches the ground. Since then not only played volleyball field covered but also the open field, yard-school yard, on beaches and other open space. The game is gaining popularity among both young and old, because it does not require that the field is too broad and the price is relatively cheaper and can be played by many people at the same time together. The year 1912 introduced a system of rotation. In 1917 the system was replaced with 21 points 15 point system. In 1921 set the center line under the net. In 1922 each team allowed to play each ball only three times and then had to be ferried stricken opponent. In 1990 the points system came into force on 21 points for a set. Well it was a bit of knowledge about the history of volleyball. also want to know how to play volleyball right, first learn the basic techniques of the game of volleyball.